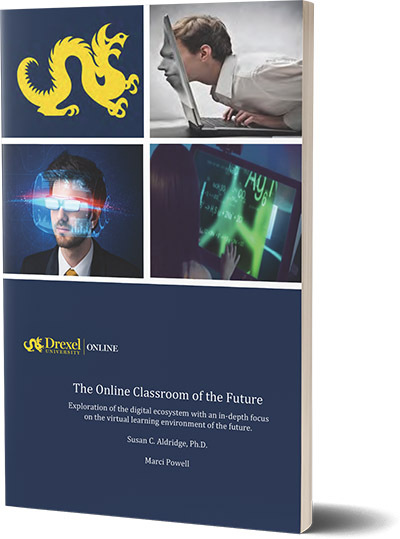 Workforce education expert, Elliot Masie, makes a good case for providing students with videoconferencing access to real world experts in their fields…a concept that is definitely front and center at Florida International University’s Chaplin School of Hospitality and Tourism Management. 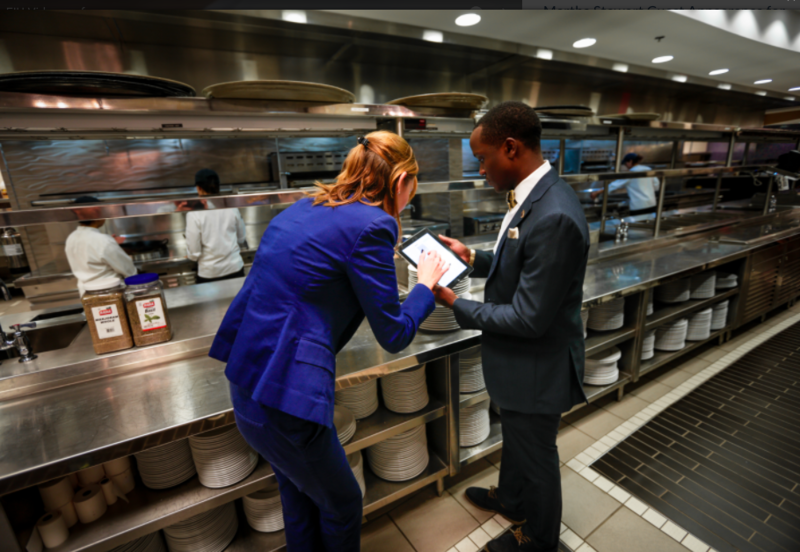 In fact, by harnessing the latest and greatest high-definition videoconferencing technology, FIU has created a world-class learning space built around a five-star restaurant management lab. 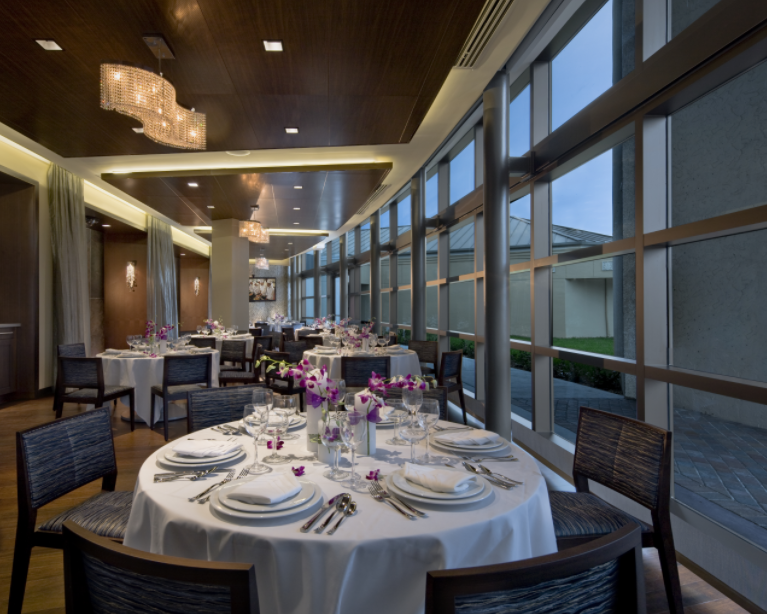 Located in sunny Miami, FIU is most famous for its Food Network South Beach Wine & Food Festival, the largest of its kind in the world and a source of revenue for investing in state of the art facilities like the one hundred forty-seat restaurant management lab. 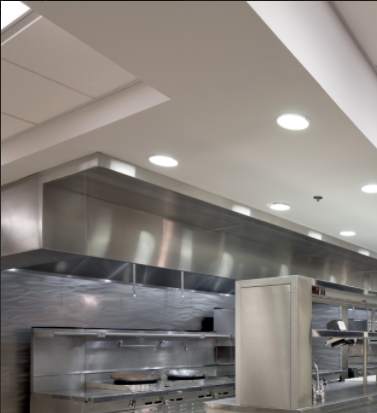 With additional space for advanced food production and brewing science, this living classroom offers students a unique opportunity to gain valuable hands-on experience while also testing new concepts and incubating entrepreneurial ventures as they prepare to become the next generation of leaders in the hospitality industry. 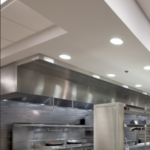 In making this possible, professors in the Chaplin School are taking full advantage of high-speed videoconferencing and streaming technology to “dish up” collaborative training, mounting large screens in key locations around the lab that connect students with expert chefs from all over the world. 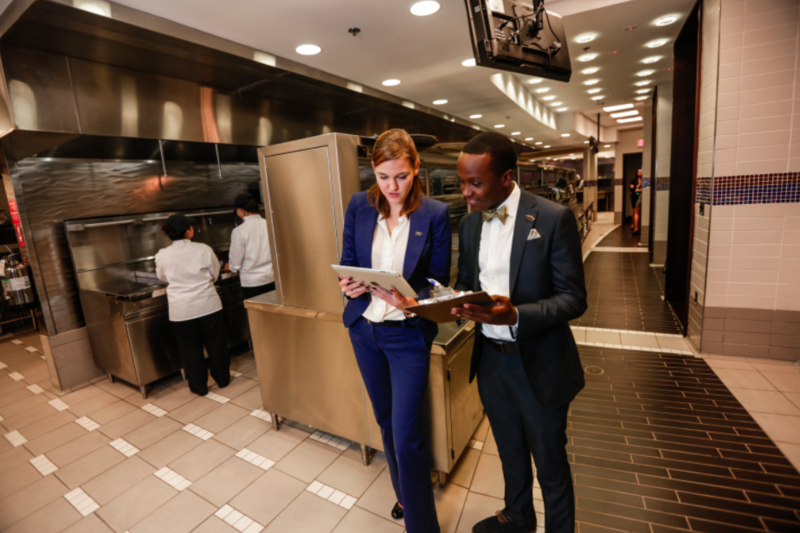 Consistently ranked as one of the nation’s best graduate and undergraduate hospitality programs, FIU’s Chaplin School is now moving on to the global higher education stage. 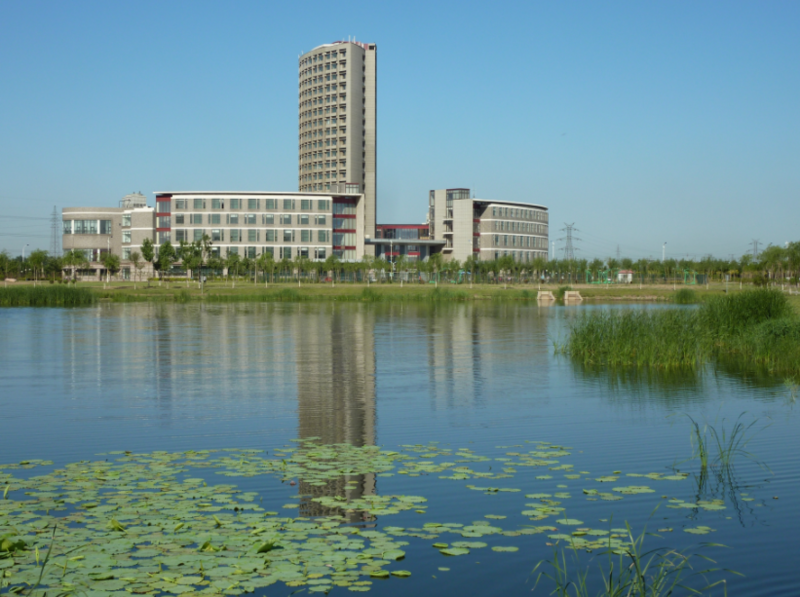 Indeed, thanks to its innovative, technology-enhanced approach to teaching and learning, it serves some twelve hundred students in China in addition to the two thousand students taking courses on its main campus. 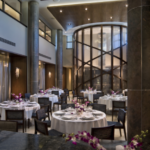 What’s more, the restaurant management lab has garnered plenty of industry attention including a BEST Integration Award presented by Commercial Integrator and Tech Decisions in recognition of its stand-out, problem-solving technology installation. 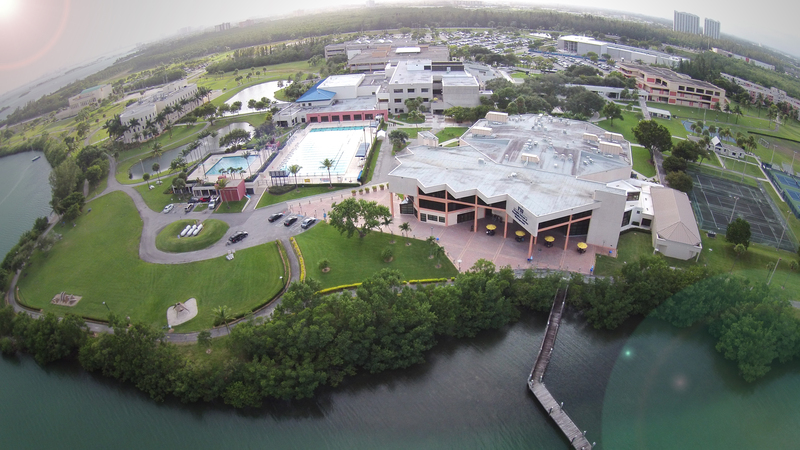 Florida International University (FIU) is the 4th largest university in the United States. 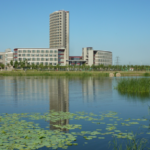 Located in Miami, FIU has one of the largest cooperative US programs in China. 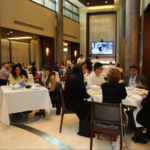 It is well known for having one of top hospitality programs in the country with over 2000 undergraduate and graduate students. 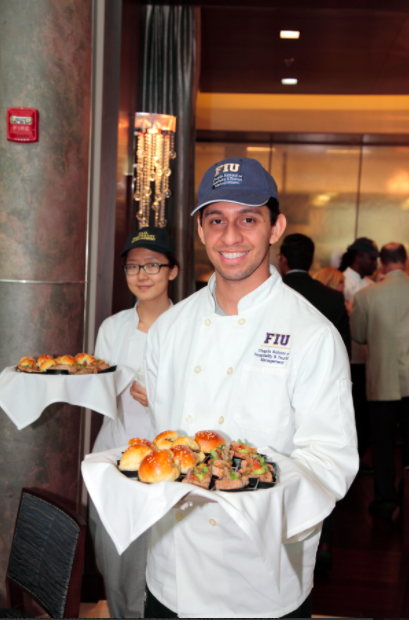 However, FIU is more than likely best known worldwide for their famous Food Network South Beach Wine & Food Festival, the largest of its kind in the world. Proceeds from the festival played a significant role in funding a world-class state-of-the-art facility for instruction and lab environments with technologies to expand its online programs. 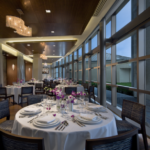 The Chaplin School of Hospitality & Tourism Management has an advanced food production lab and a brewing science lab that help bolster the school’s research in food, wine, beer and spirits. The facility serves as a venue for faculty and students to incubate ideas and entrepreneurial ventures, and test new concepts. 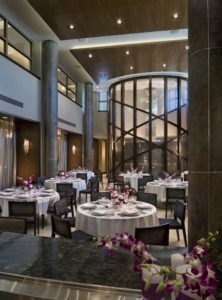 The 5000 square foot, or 465 square meters, 5-star Wine Spectator Restaurant Management Lab housed within the facility provides ample opportunity for students to apply theory to practice. Notable celebrities like Martha Stewart visit. It is a wonderful place to dine as well, but what about online students and particularly those who are international? 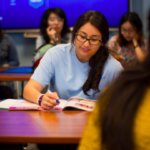 FIU uses video conferencing and streaming to serve 1,200 students in China in addition to the 2,000 who take courses at the main campus in Florida. 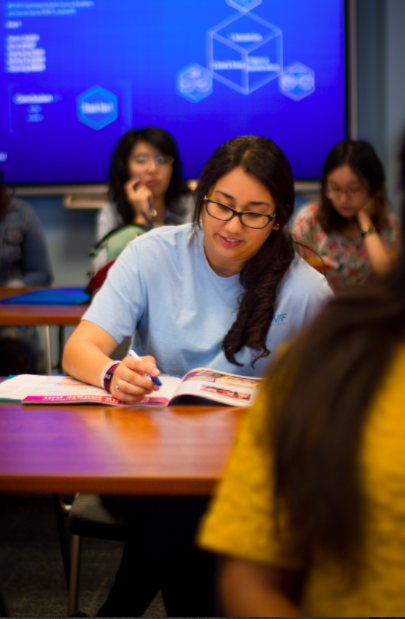 All courses are offered in English, and the Chinese students earn a U.S. degree. 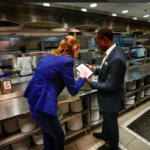 Harnessing the latest videoconferencing technology, Florida International University (FIU) created an inimitable learning space built around a 5-star restaurant management lab. 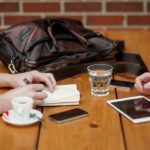 Online students can join synchronous classes and live events and speak with expert instructors and guests. 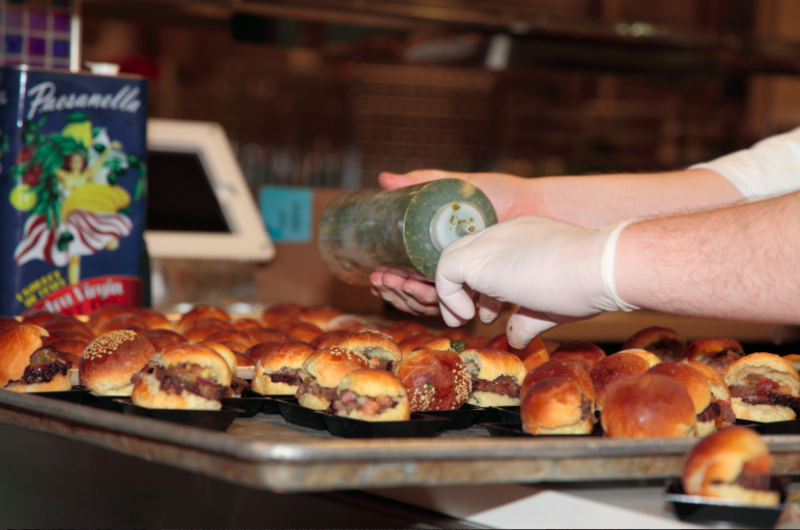 Master chefs can teach from anywhere, even from the kitchen. Overhead cameras provide excellent viewing for all students including those online. 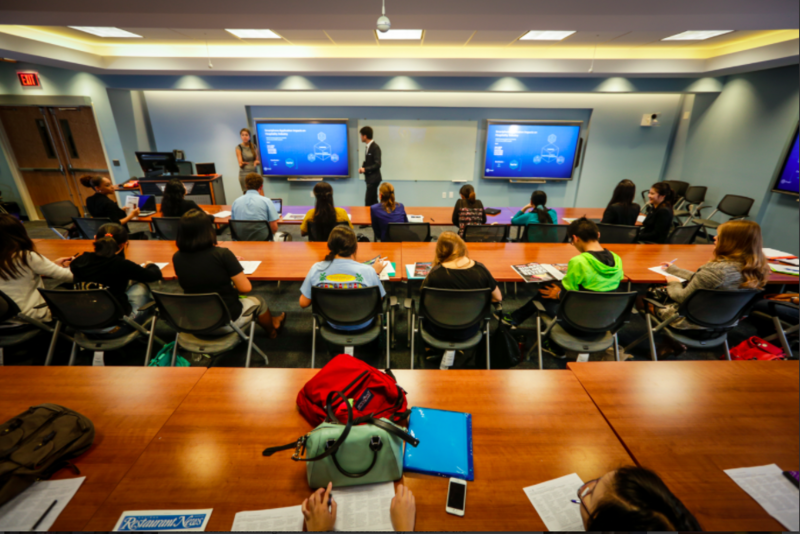 Kiosk displays enable instructors to switch cameras and share content. 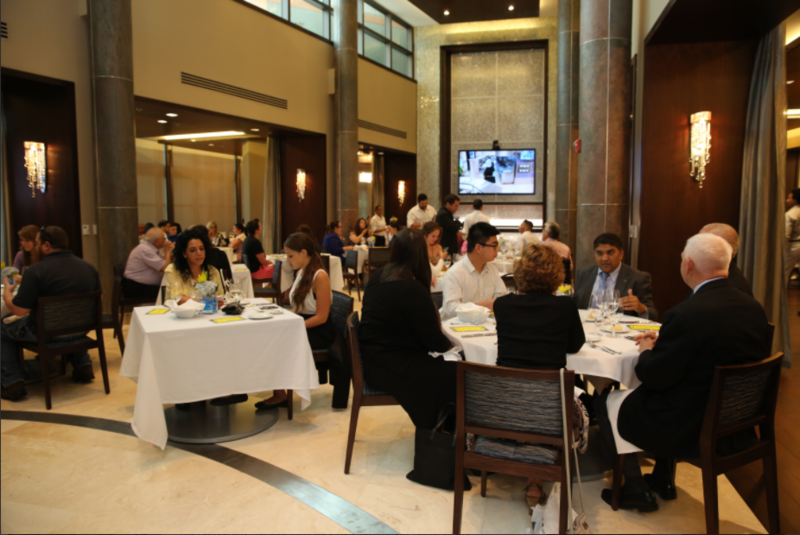 Celebrity chefs join FIU’s master chefs to teach students the intricacies of cooking and plating. 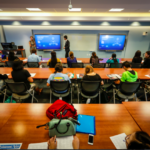 With video cameras and monitors all about, it is easy for the online student to have a complete immersive experience though not physically on campus. For the campus technologists, there is only one minor detail that worries them greatly. 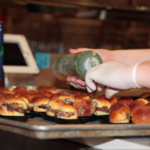 How can chefs demonstrate and share slides without having to wash their hands constantly before touching a content sharing screen? The solution, they need to be hands-free. 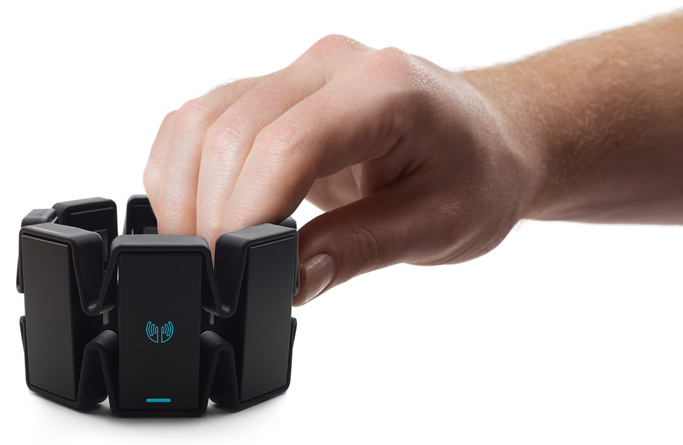 FIU has implemented the MYO Arm Band so that a presenter, lecturer, or instructor can use arm gestures to manipulate a PowerPoint presentations or content when teaching. 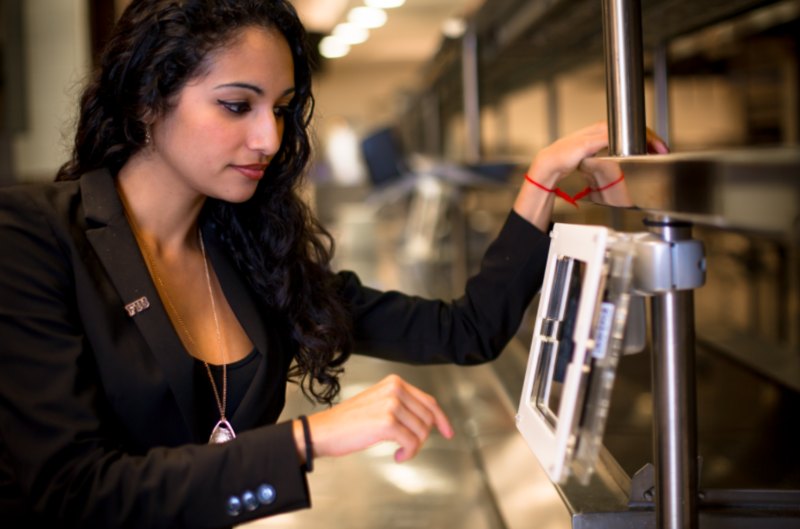 For Florida International University, being hands-free allows the instructor to use their hands for other things like demonstrating cooking, mechanical processes, or hands-on engineering exercises without worry of spoiling a display. Additionally, the restaurant management lab’s advanced technology features a highly integrated A/V system. 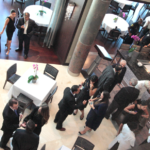 A fast web-streaming system enables live streaming of events and lectures from anywhere in the world possible. 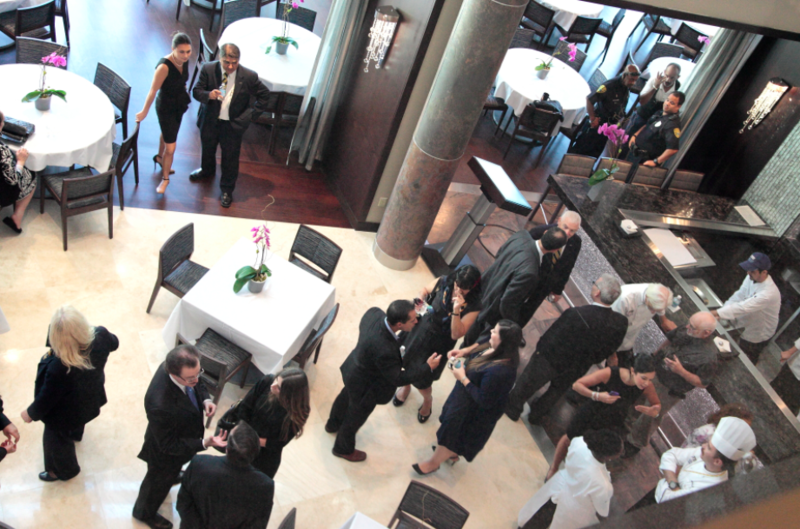 Programs and events are recorded and stored for later viewing. 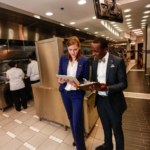 Creative and innovative thinking will continue to be seen as FIU expands globally continuing to give students hands-on experience in restaurant management and an edge on the job market.